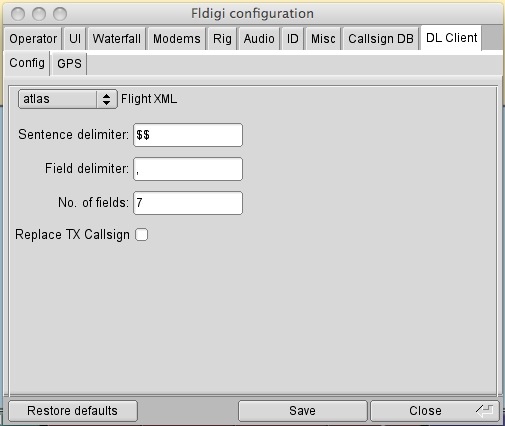 Grab a copy of the software: dl-fldigi. The key is to input a callsign, this can be your callsign or just a nickname - it's so that we can identify the data that you are passing to the server. Once you've filled in the rest of the details go to the DL Client tab of the preferences window, here you can select which payload you are tracking. Depending on the version you are using (Version 2.0+), you may need to click the “Autoconfigure” button. 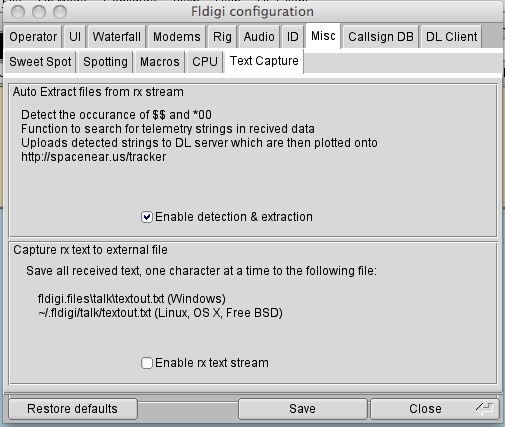 Finally check that dl-fldigi is setup to extract the telemetry data, make sure the “Enable Detection and Extraction” box is ticked. 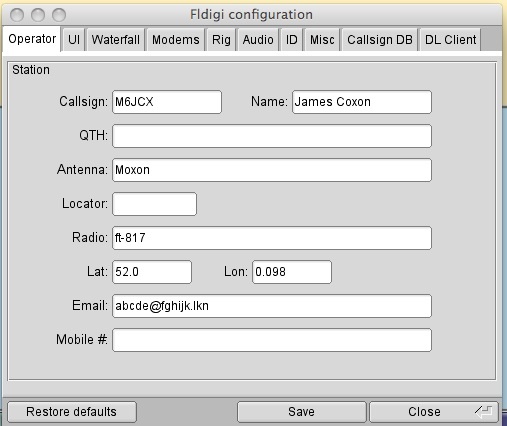 When this is selected it'll automatically setup your fldigi to decode the payloads signal! 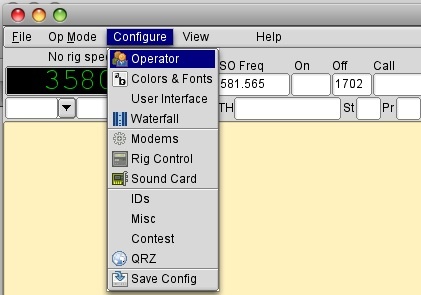 Now connect the radio with your cable to audio in, you should start to see the signal appear on the bottom waterfall of dl-fldigi. It should be 2 yellow lines on a blue background, click on the right line and this will place the 'decoding lines' over the top of the signal (these are displayed as red). Now dl-fldigi should start to decode the data. If you have only just started to receive the data the signal might still be weak and so there maybe some mistakes, you can often improve the signal by adjusting the antenna to point more in the right direction.